Tucker grew up gardening in Florida. 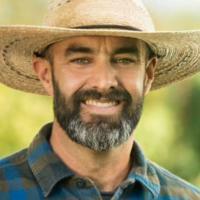 With a BS in Business and in Agriculture focused in Environmental Horticulture from the University of Florida, he honed his craft designing and managing certified organic farms outside Portland, OR and Atlanta, GA and then headed to California to redesign the culinary garden at The French Laundry in Napa Valley. After five years of growing specialty produce for Chef Thomas Keller's restaurants, he moved to Healdsburg and accepted a position as the Director of Culinary Gardens at Jackson Family Wines. He recently became a UC Master Gardener of Sonoma County in hopes of sharing his gardening experience with others. In addition to growing for many chefs in the San Francisco Bay Area, Tucker promotes the value of fresh food and “ rowing your own” and loves helping nourish the community through Farm to Pantry and Slow Food.